The Culligan 750R Replacement Water Filter produces cleaner and better tasting drinking and cooking water. The Culligan 750R replacement filter reduces chlorine taste and odor, bad taste and odor, and sediment. The Culligan 750R filter cartridge produces great tasting, healthier water and ice cubes. 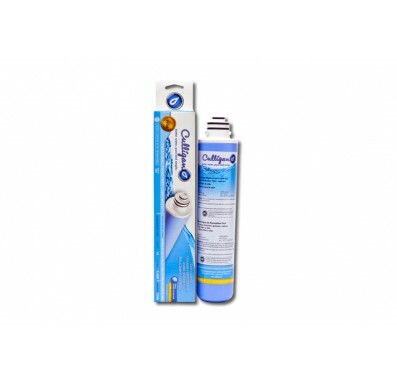 Easy twist on and twist off of the Culligan 750R replacement water filter cartridge. No mess! The Culligan 750R water filter features a compact design with a twist-on, twist-off mechanism. The Culligan 750R water filter is an easy change icemaker, refrigerator, undersink, and RV replacement cartridge. Easy twist on and twist off of the Culligan 750R replacement water filter cartridge. No mess! The Culligan 750R water filter life is up to 12 months or 2,500 gallons. The water filter life also depends on the quality of your water and your water usage. The Culligan 1000R can be used instead of the Culligan 750R. The Culligan 1000R reduces more contaminants than the Culligan 750R. The Culligan 750R filter cartridge also fits the SY-1000, SY-1000S, RV-2000, and IC-1000 water filtration systems.